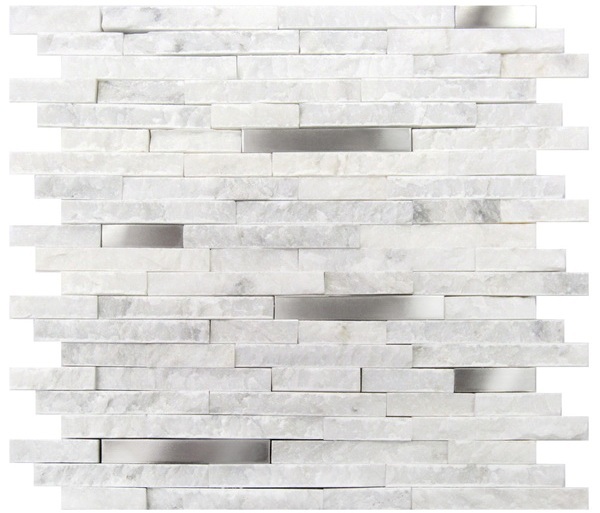 White Fusion Interlocking 12x12 is a fusion of Split-faced Carrara marble and stainless steel. This classic white tiles add class to any room. It is recommended for backsplash and any accent wall projects in residential or commercial space. very hard to find combination and for this low price. We did all pillars, backsplash walls and island walls with this stone. Looks just amazing. Though it comes from China the quality is just amazing. Strongly recommend.